After checking the Alameda County Assessor’s property database and the City of Oakland’s city-owned property list, I’ve come to the somewhat educated conclusion that most of the target property is not owned by the Joint Powers Authority or any other public entity. The land is about 8.5 acres and is mostly unimproved. Electrical transmission lines run through it, posing challenges to the JPA and developers. How do the lines get rerouted? Who pays for it? The remaining land (17 acres) would have to be purchased by the team or purchased by the JPA and given to the team. My guess is that it would be the latter. Additional cost of land? $10-15 million, based on the price of the land at Hegenberger Gateway. 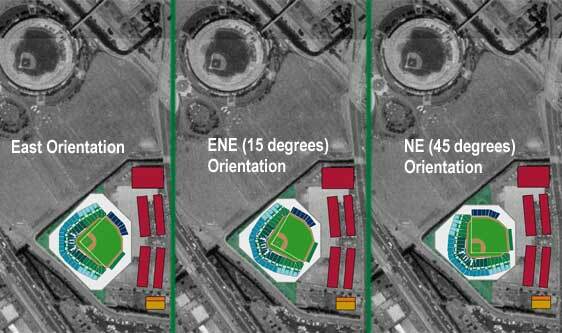 By the way, 8.5 acres is not enough space to build a new ballpark in the modern era. 12-15 acres minimum is required. SBC Park sits on a 13 acre footprint. Sorry. I believe not one word of this. Best to kick the can until SJ is approved. And it will be eventually, guaranteed. It would be the best financial decision for the owners to just chill out for now. Oakland fans. Know what a rug is? It will be pulled……, well, anyhow.